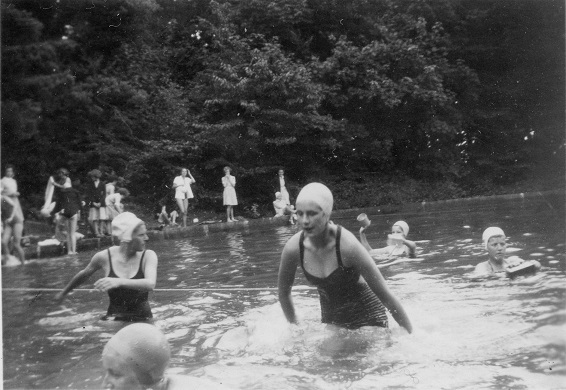 The postcards and photos on here are from a variety of sources, including the West Sussex Past Project, which is doing a fantastic job categorizing thousands of postcards and images for posterity. 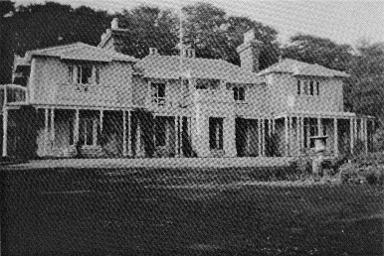 When the executors of Thomas Dyer Edwards, the last resident of Charmandean, sold the lower slopes of the estate for building, the remaining 30 acres of land, the mansion, and outbuildings was purchased for use as a school. 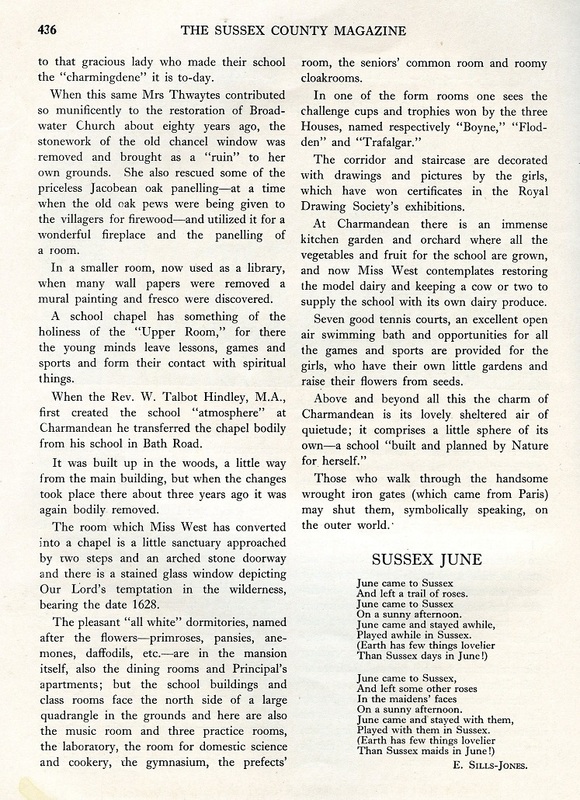 In May 1927, St. Michael`s school moved from Bath Place, Worthing, to Charmandean, and the Principal of the school, the Rev. 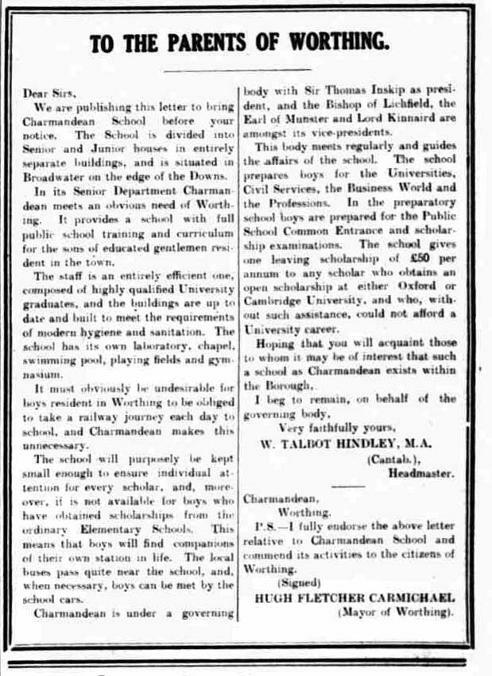 W. Talbot Hindley, M.A., had the intention to convert Charmandean into a Public School with an Evangelical Church of England outlook. 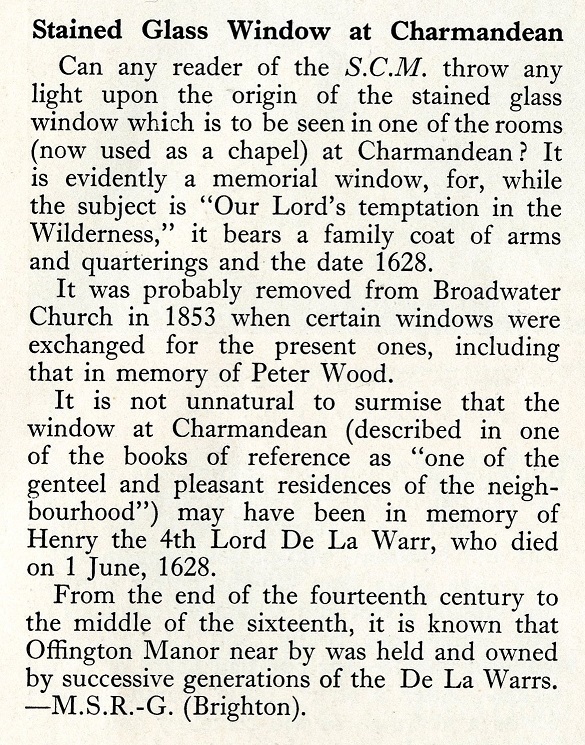 This article from 21st May 1927 is interesting as it refers to the mullioned window from Broadwater Church re-built as a 'ruin' in the grounds of Charmandean, but it is unknown where it was located. 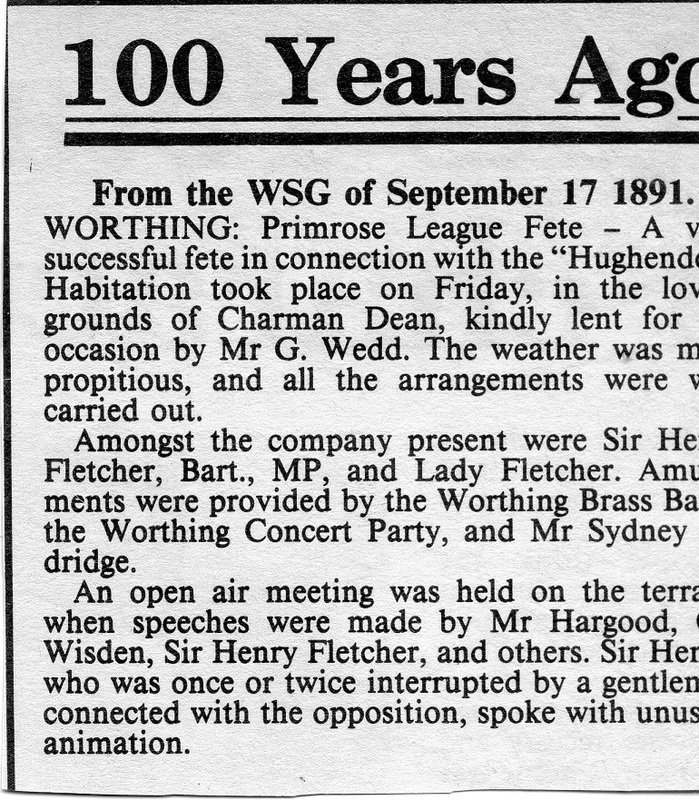 This has been shown as an article, and not just historical facts extracted, as it is interesting how this was written at the time. 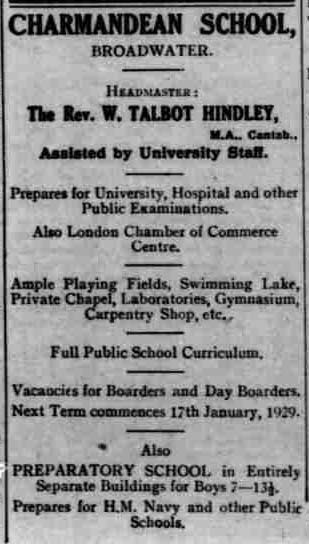 c. 1931 - Mr Hindley appointed headmaster of Seaford College, school moves out of Charmandean. 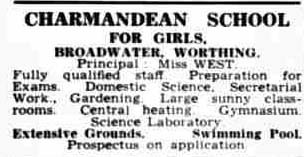 We have also been contacted by the daughter of one of the teachers who was at Charmandean, during it's time as a school. 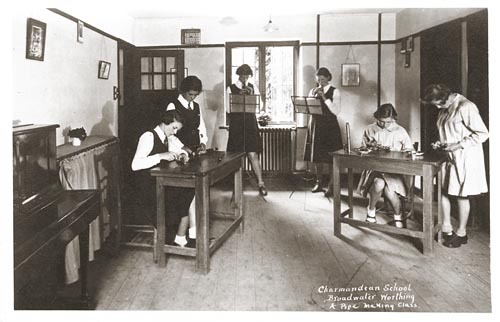 She has kindly provided stories and photos of the time which gives a fantastic insight into the lives and people of Charmandean School. 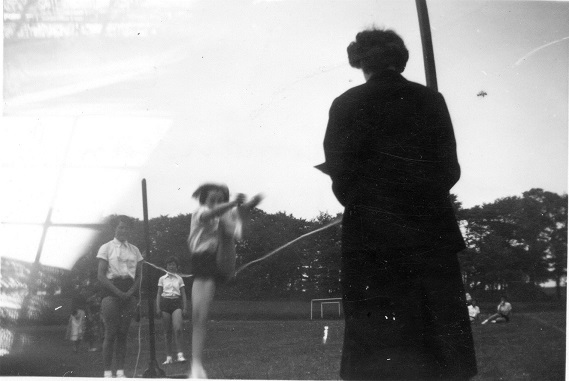 Many thanks for the effort and contribution to the site made by Miss Elizabeth Woolgar's daughter. 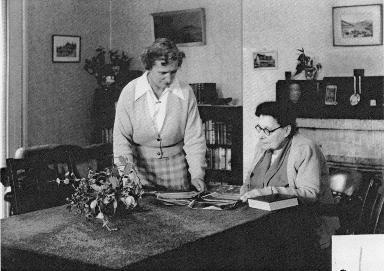 Miss Elizabeth Woolgar (4th from left) was a teacher at Charmandean from the 1950's. 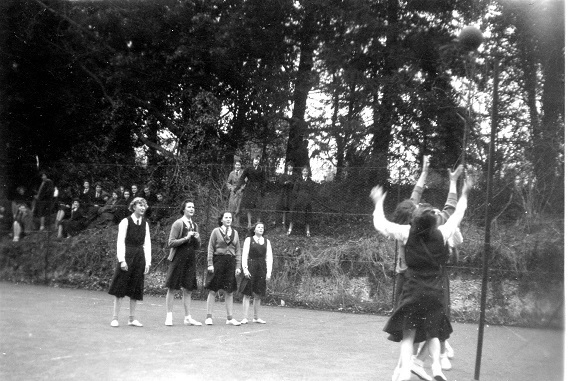 This photo we believe is the teaching staff dressed for staff vs. girls netball. 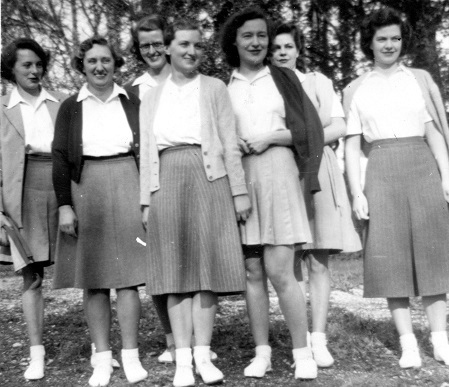 In order (from left ): Miss Sheila Johnson, Howard, Miss Caroline Cream, Miss Elizabeth Woolgar, Miss Elaine Bunn, Jackie Allen, Miss Wharrier. 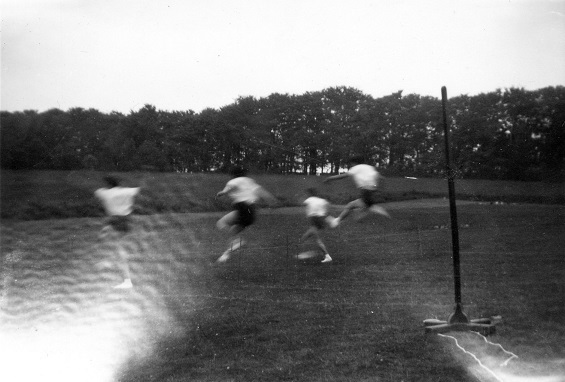 Sports activities was popular at the school; swimming, netball, 7 tennis courts, and the below photo looks like a running track marked out on the grass. 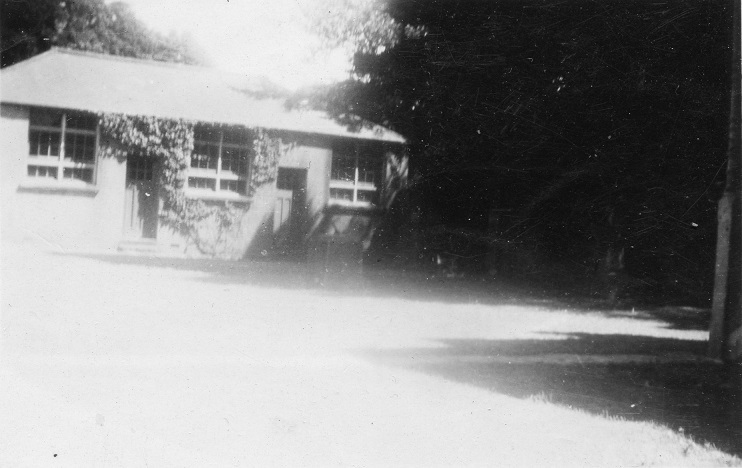 This would have been the lower lawn, south of the school. 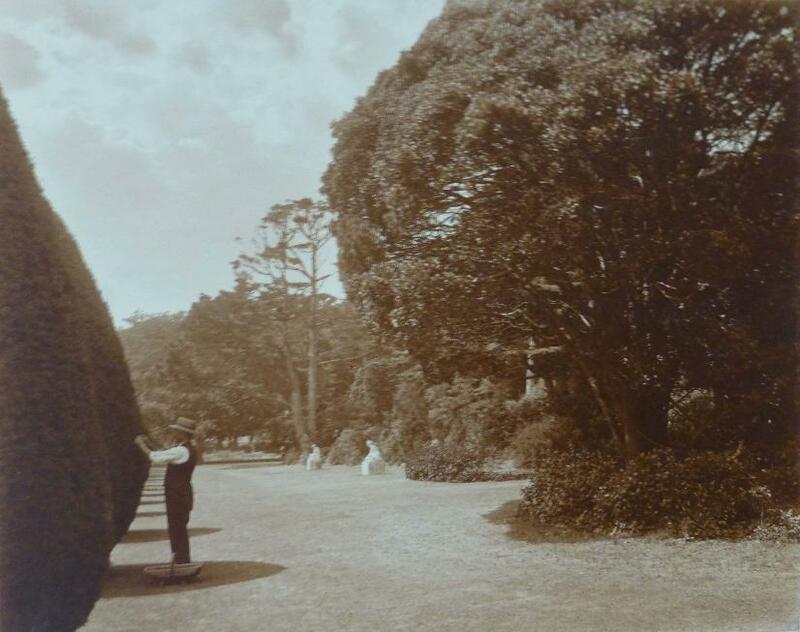 The line of Yews in the background here is the Yew Walk - much more grown up than when first planted in the 1910's! 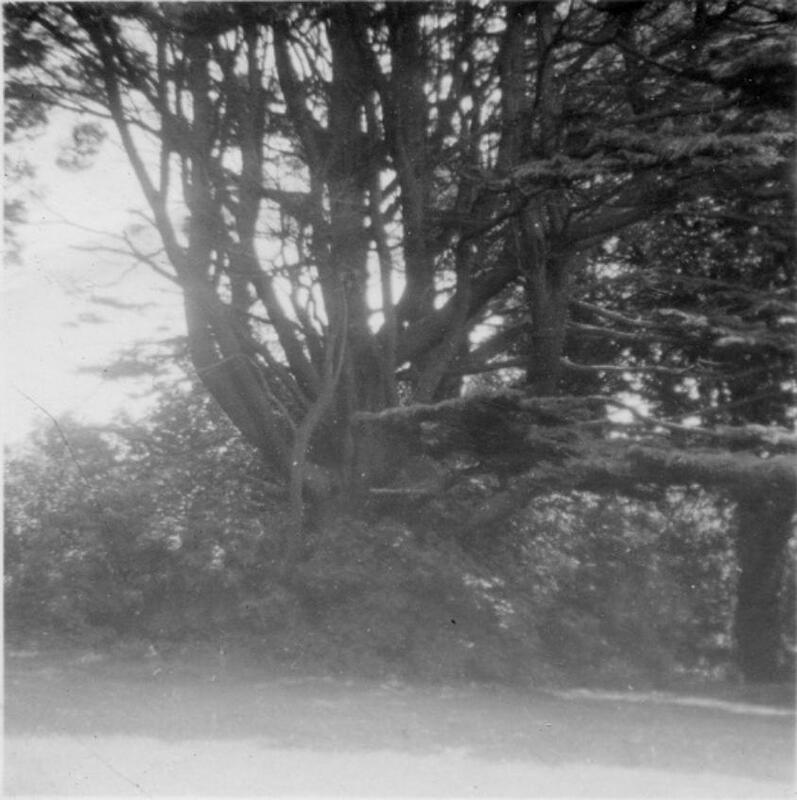 The same Yew Walk, in 1914, looking South. 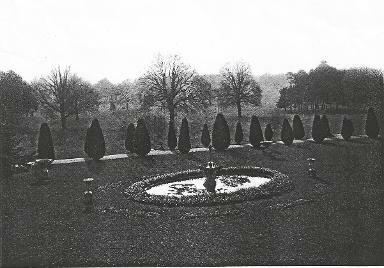 Even though the Yews in this photo look small, the sheer scale of the Charmandean grounds is decieving - these were 8-12 feet tall! 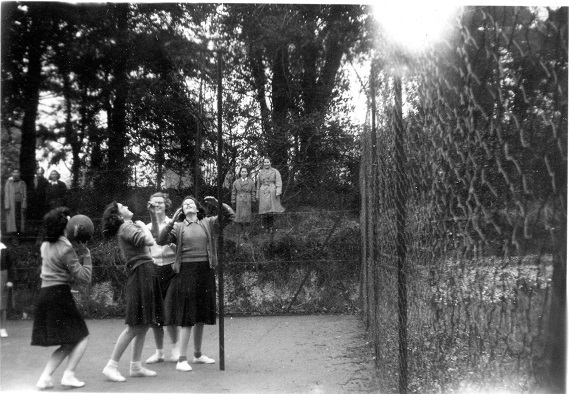 Netball seemed to feature a lot! 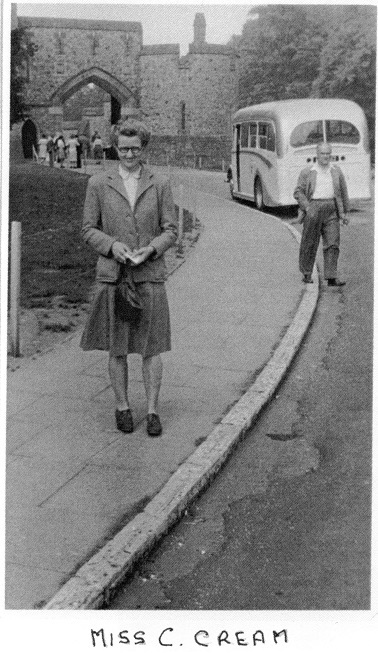 The trees in the background could be backing onto Charmandean Lane. 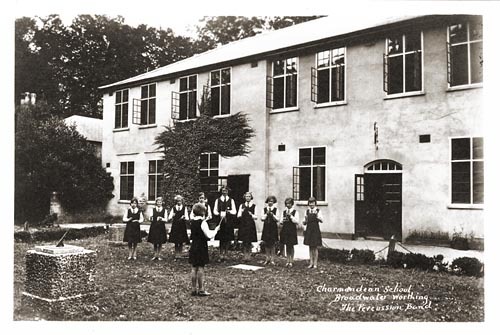 Charmandean School was lucky enough to have an outdoor swimming pool, where swimming galas and events were held, and local girls remember going to Charmandean to use the pool. 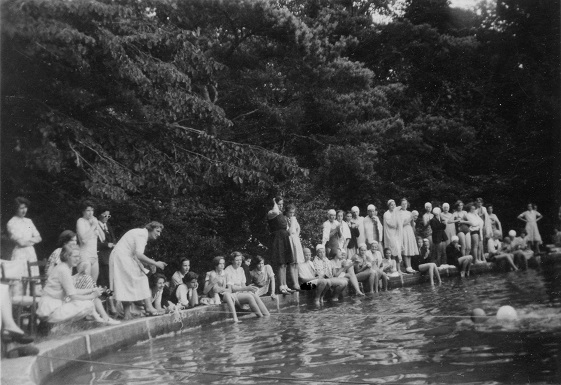 We are hoping to be able to tell stories and memories from the local Worthing girls who remember using the pool here. 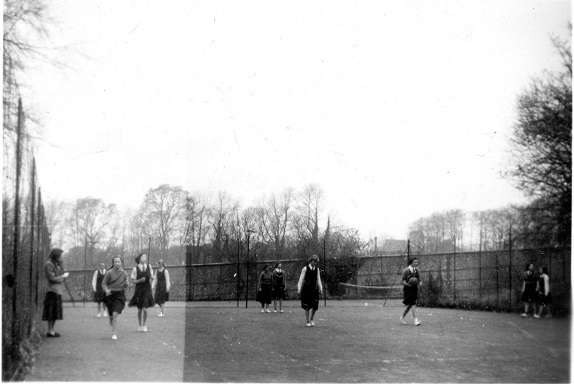 Despite the quality of the below photos, it gives a feeling of the space the pupils of Charmandean had when they were there. 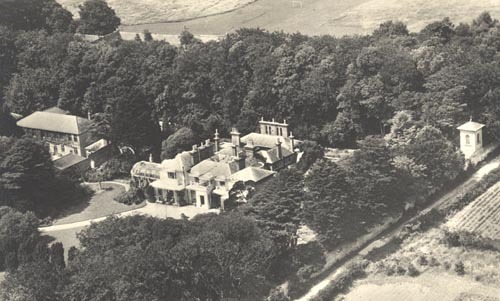 Originally, before the lower portion of the estate was sold for the Avenues, the Estate comprised of 32 acres. 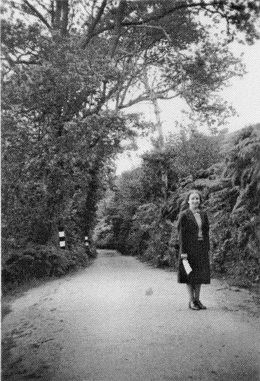 The trees in the background of these photos we believe are the trees bordering Charmandean Lane, now behind Third Avenue and the East side of Longlands. 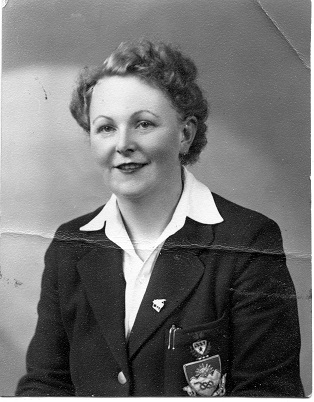 The photo on the right had the name Pat Giles marked, but we are not sure whether she was a Pupil or Teacher. 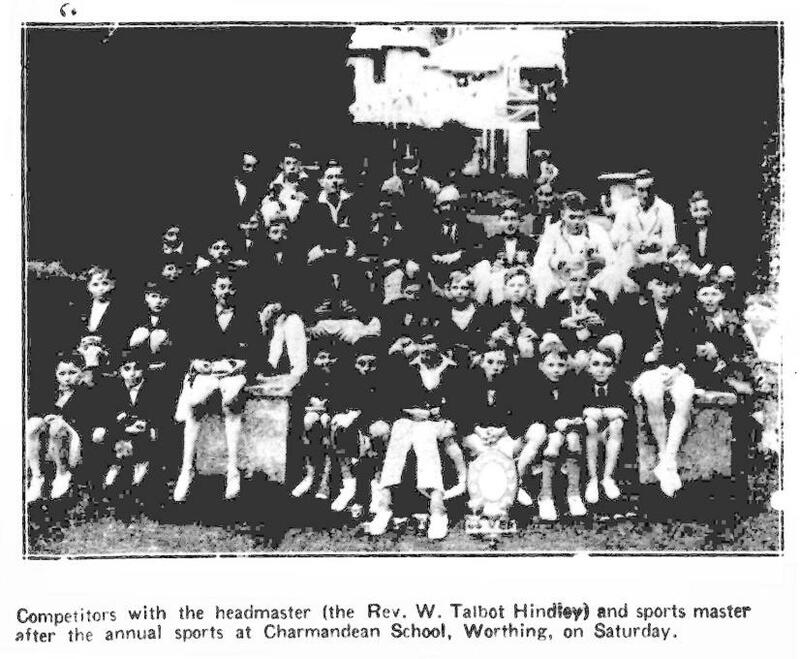 The following are a selection of photos indicating staff, and some history - Charmandean had some famous pupils over it's time. One that we know about is Barbara Hulanicki, who founded the fashion store Biba. 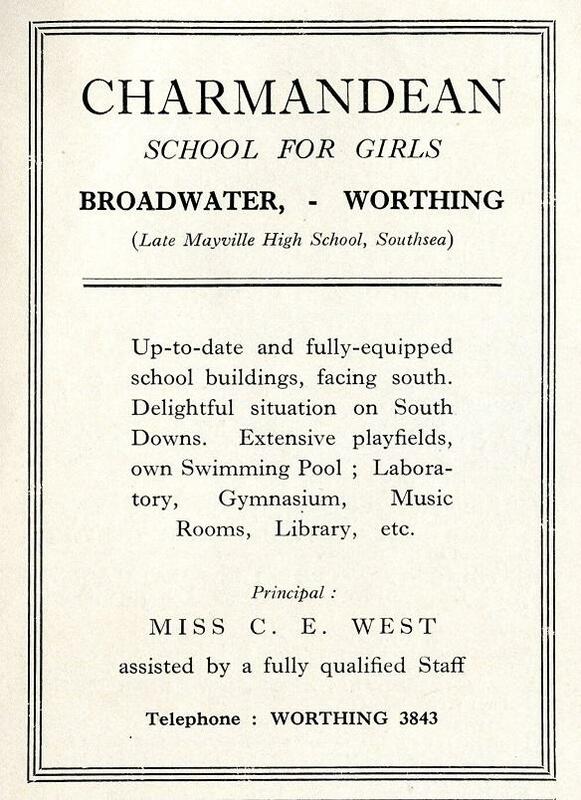 Most of the articles online about Barbara refer to a boarding school in Worthing, which in fact was Charmandean. 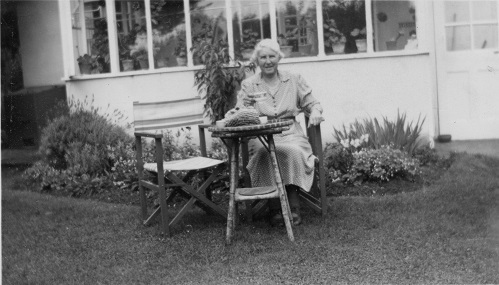 It is described in her autobiography, A to Biba, and Miss Caroline Cream (teacher) gets a mention. 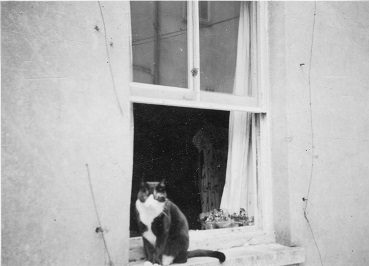 It also refers to soldiers using the house as barracks during the war. 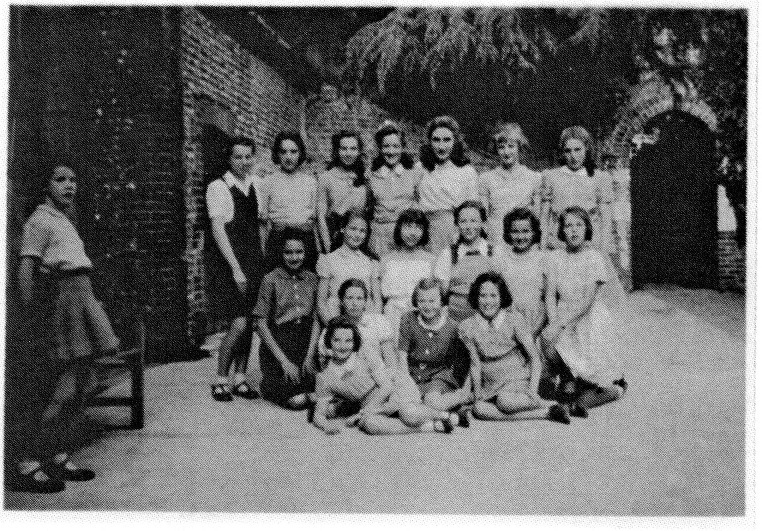 Class photos, dated 1941. 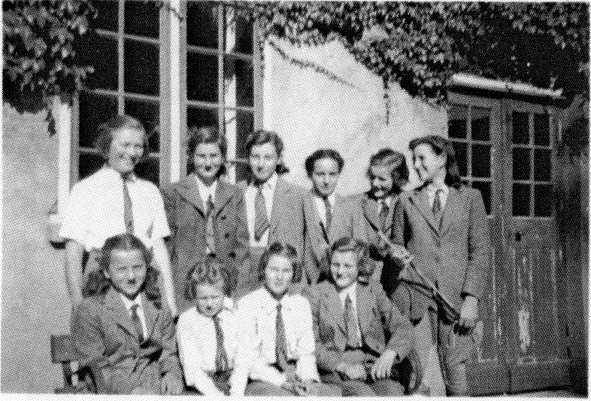 It looks like one of the pupils is dressed ready for horse riding, with the photo being taken outside the Classrooms block. 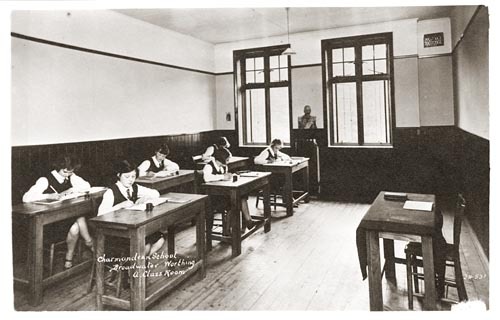 In this section we have included photos received of the buildings used during the time as a school. Some have a description, and some are similar to others found on the site. 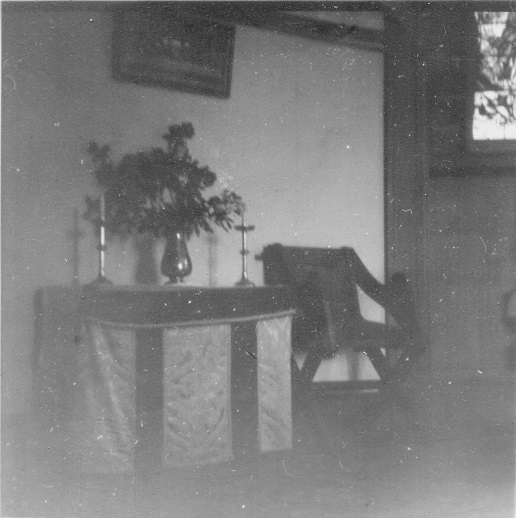 Note the stained glass window on the right of this photo; this is dated 1628 and believed to have been taken to Charmandean from Broadwater Church during it's 1866 renovations by Mrs Thwaites. 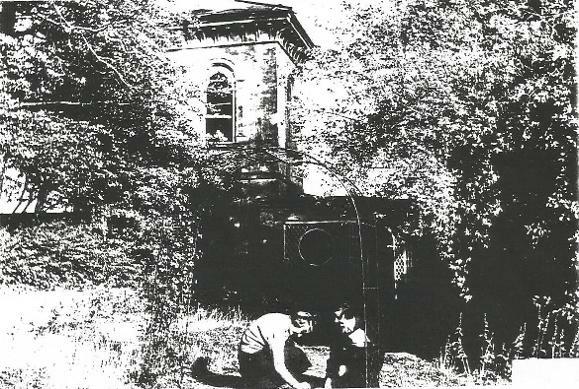 This is an interesting photo of the tower at Charmandean, which was located alongside Charmandean Lane. 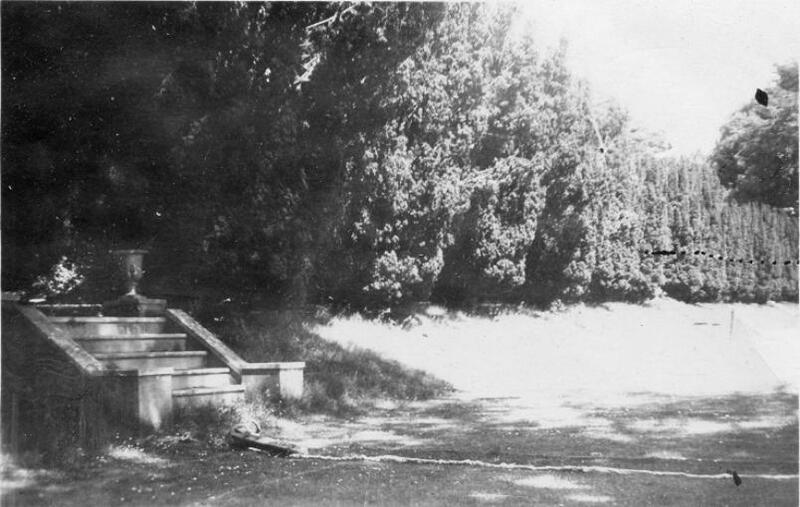 Some of the yew trees alongside the Sussex flint wall (right of this photo) still survive today. If the stories are to be believed, downed German pilots hid in this tower during WW2. 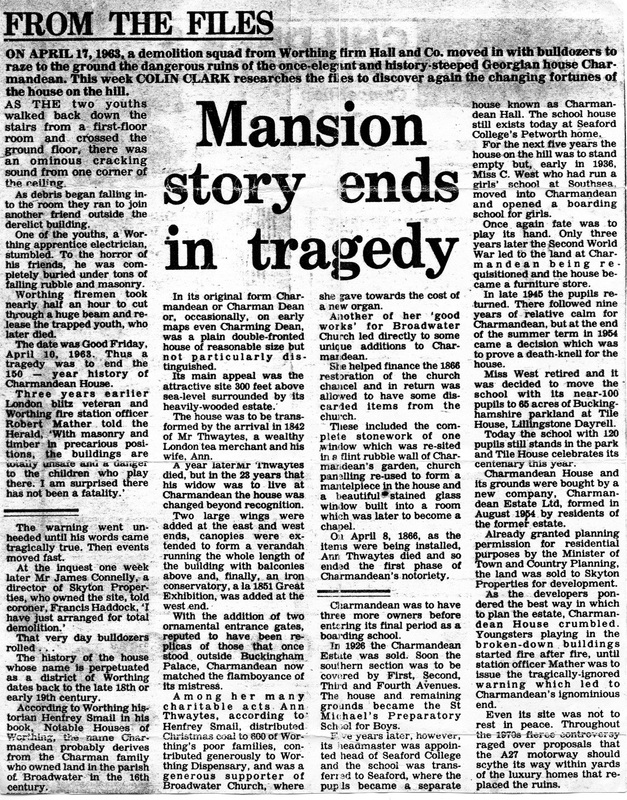 More on this can be found in the Charmandean History News pages. 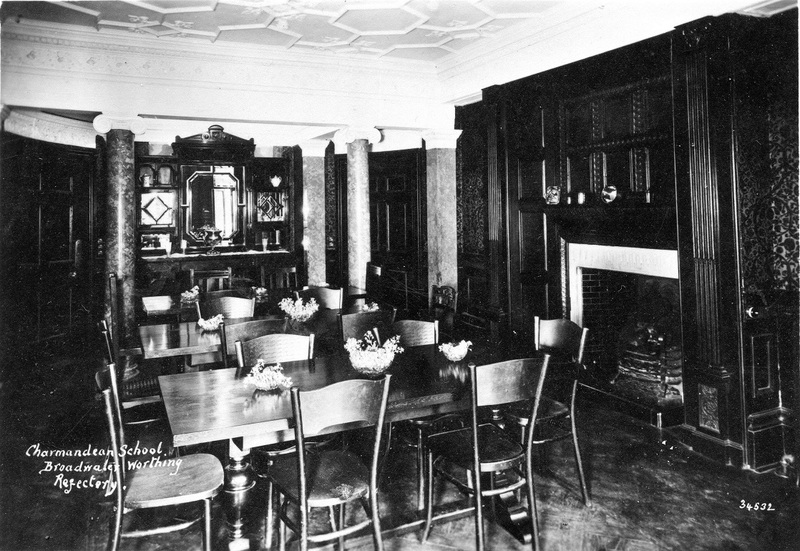 A good photo providing a glimpse of what the inside of Charmandean House was like, with it`s ornate ceilings, panelling (some of which was recycled when Broadwater Church was refitted in early 1900's), and columns. 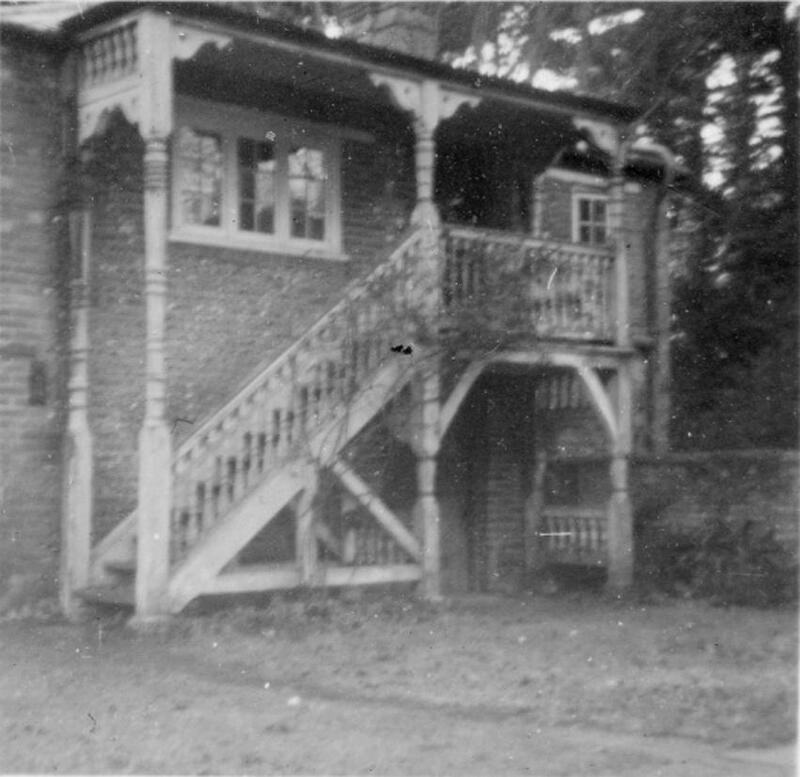 Another photo of the front of Charmandean, c.1950's, and the 'Garden Seat', which our research also refers to it as the 'Folly', or 'Italianate Summer House' . 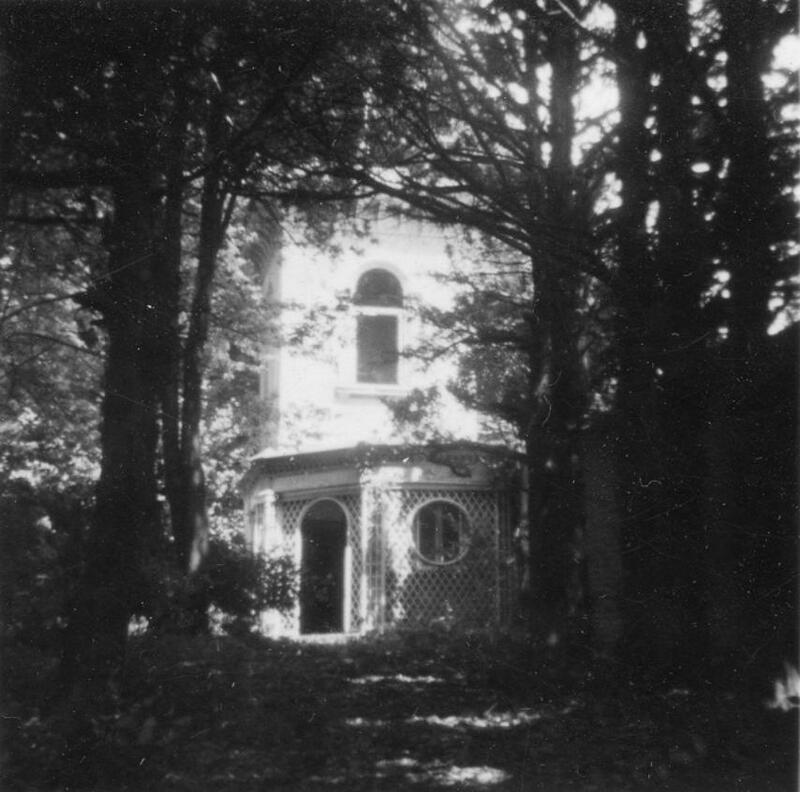 This 'Folly' is now the only remaining piece of Charmandean House's buildings still standing, since the East Entrance Gateposts were demolished in 2013. 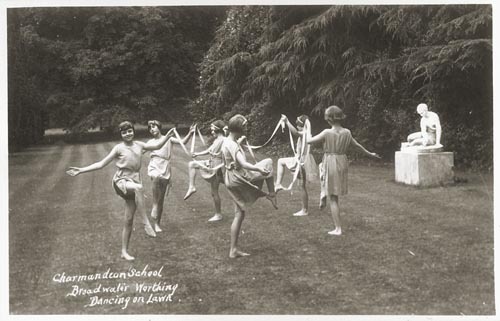 From a postcard, c.1937, showing pupils dancing on the lawns. This photo above, of the 'Dancing on the lawn', means we can match where the location is - from the photo album of Charmandean`s owner c.1914, Mr Alfred King. 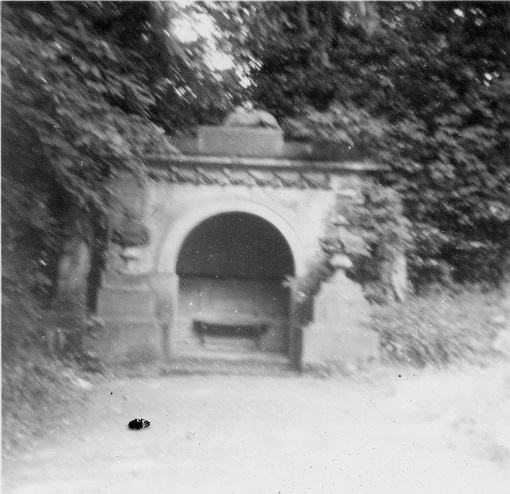 The statues on the right of the photo above can be seen in the one below from 30 years prior. This means the trees above on the left, are the Yew Walk. This photo is entitled 'The Percussion Band'. 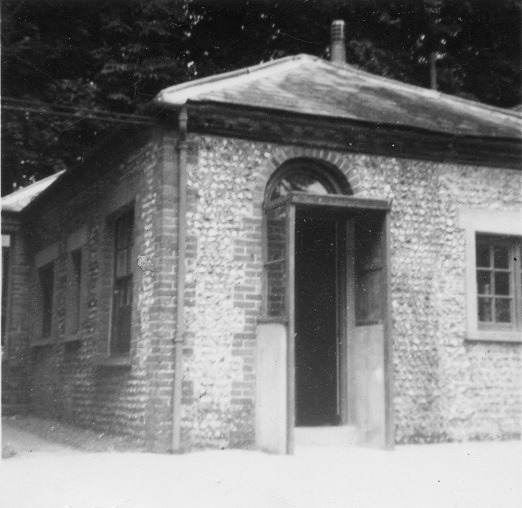 The building in the background was the classrooms whilst it was a Girls' school, however earlier maps indicate the building as stables. 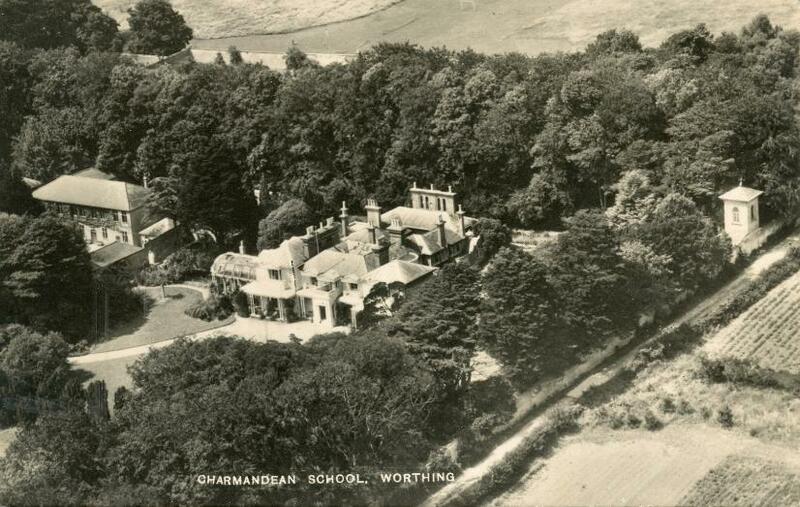 This aerial shot of the school is interesting as you can see the tower / turret on the Eastern Wall, and Yew Walk in the bottom left. 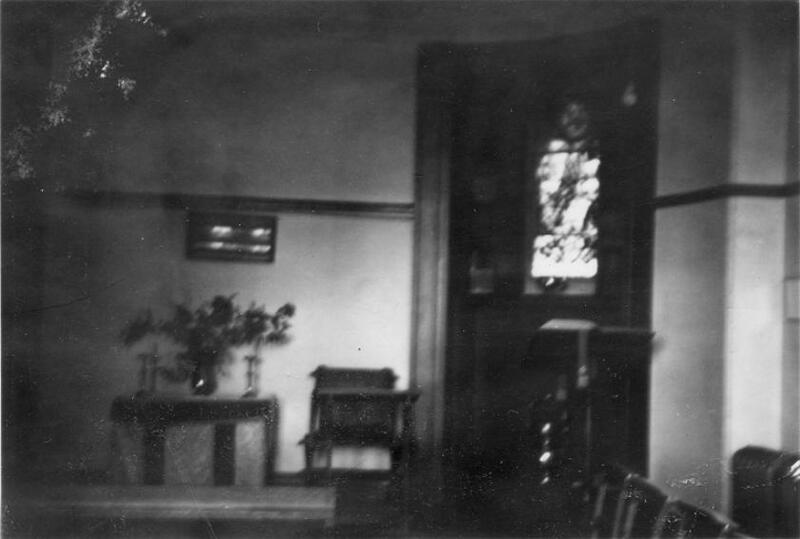 Below shows one of the Classrooms. Note the picture rail and coving, not bad for a building which was once stables! This Class are making musical pipes! 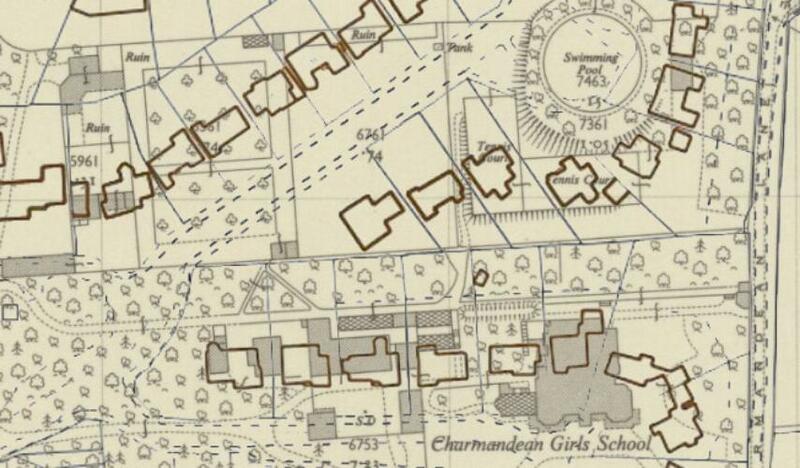 Charmandean was a boarding school as well as day pupils; below shows one of the dormitories. 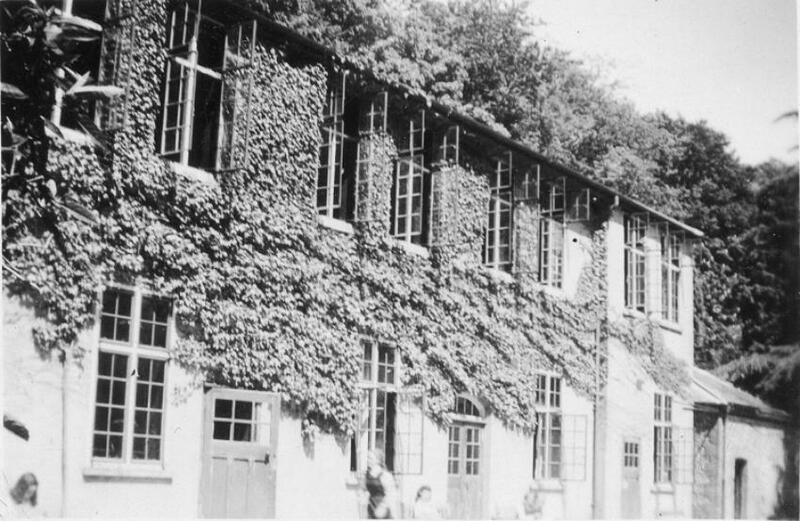 From looking at the decor, window mouldings and wooden shutters, (symptomatic of architecture and decor of the time) we believe the dormitories were located in the main house. 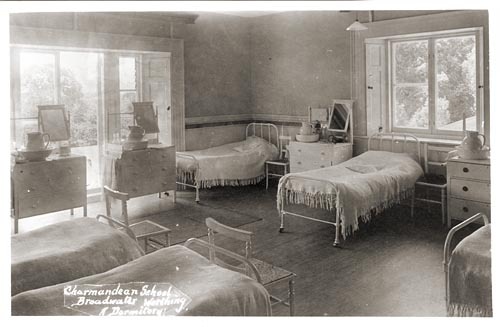 Not sure the beds look too comfortable though! 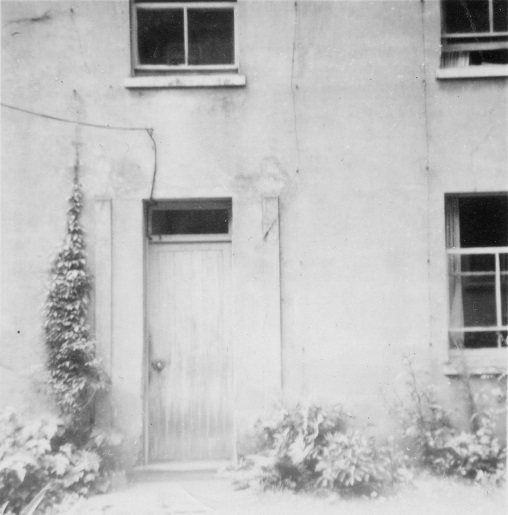 The stepped walls in this photo are still present in some of the gardens of houses in Longlands Spinney. The 'Tower' at Charmandean, is behind the photographer as they are standing on one of the paths leading to the Tower. 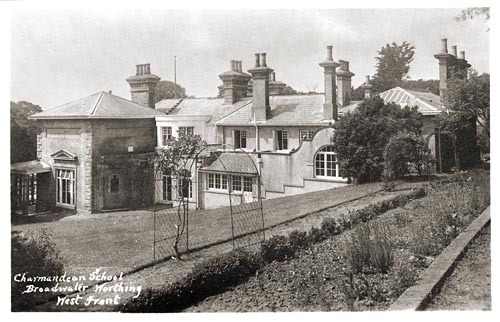 The small window on the North elevation of the wing on the left, is the stained glass window from Broadwater Church as mentioned earlier. 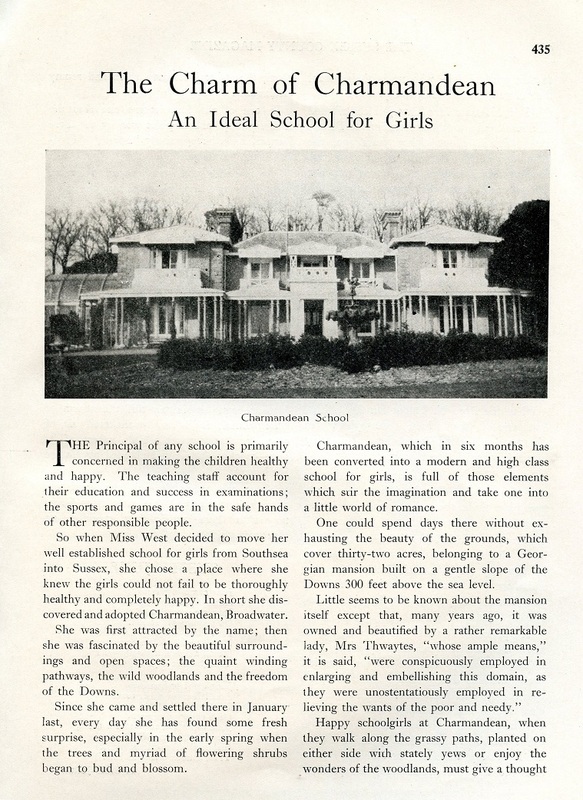 A few examples of interesting press articles published about Charmandean over the years.